wash in Abeokuto. 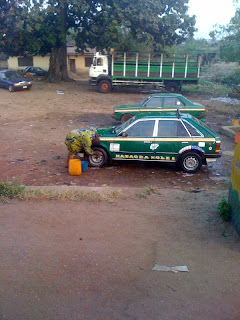 This man is hard at work washing a taxi. Success come to those who work hard. Good thing that guy is striving hard.